1. 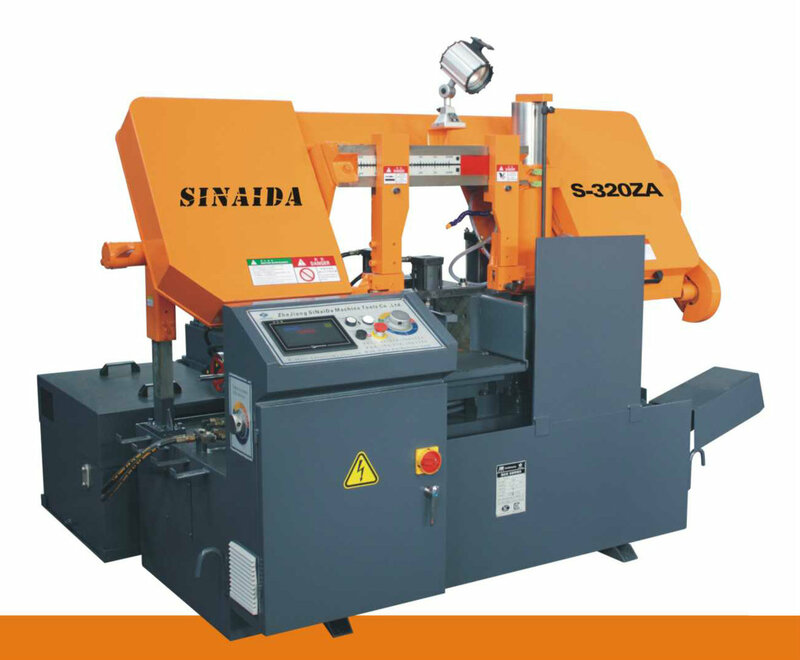 This machine suitable for large-scale bearing factory to cutting bearing laps in bulk . 2. Adopt manual ,full-automatic and matches emergency off device function £¬hydraulic feed-in and tight clamping work, stepless adjustable, Auto-power off protection equipment. 3. Man-machine interface replace the function of traditional control panel ,digital setting ,indicator lamp etc. display the equipment state ,operation indication and parameter setting at any time .all the operate can finish on the man-machine interface and all the information are English ,convenient to operate. 4. PLC set the cutting/sawing whole process automatically . 5. Feeing length of work piece uses grating ruler ,to lerance less than 0.2 mm, can 6. set 5 group sawing parameter by once. 7. Can increase the rotating angle function as customers¡¯ requests.